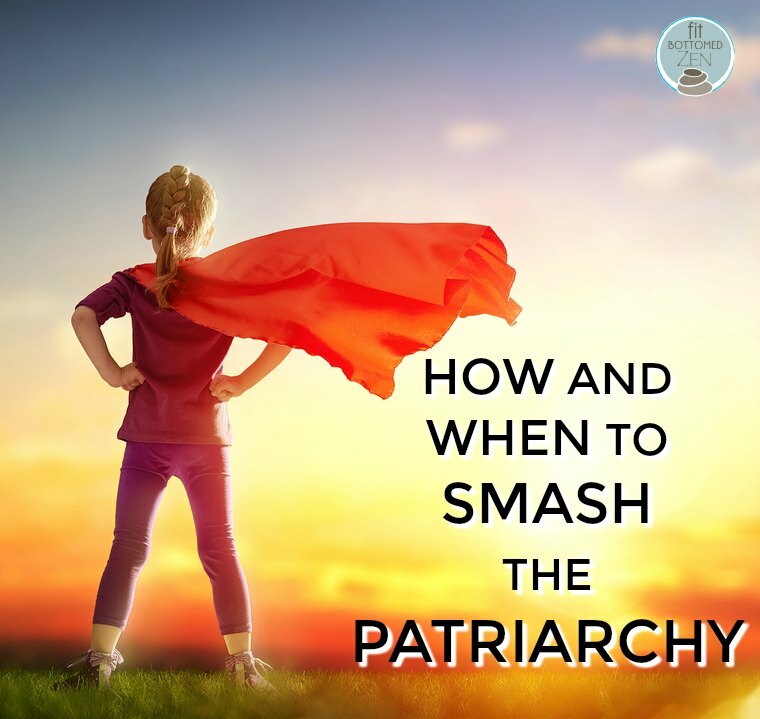 There are a lot of ways to smash the patriarchy. Loving yourself, just as you are, in a world consumed with the idea of fixing and improving everyone is a start. Empowering females and supporting women-owned businesses is another. Also? It’s worth noting that, despite the kind of intense visual you might get from hearing, “Smash the patriarchy!” it’s really about feminism — and that should not be a dirty word. But, as I mentioned in a post over on Fit Bottomed Girls that delves more into issues surrounding racial injustice, sometimes the call to act is easy to hear — and sometimes, knowing exactly when, where, and how to smash the patriarchy is a little more challenging. I’d like to share a story as an example; one I’m betting many of us can imagine happening in our own lives. And I’d love to hear from all of you about how you’d react in a similar situation. Let’s say you’re playing a tennis match at a club that caters largely to older men (which, at least in the area where I live, is not uncommon, especially in the fancier clubs). You find yourself in a middle court, meaning you have to walk by a court where two retirement-age men were preparing for their own game. They’re friendly, and you are, too. Maybe you even exchange a few pleasantries about the weather. You’re pretty serious about your game. You take lessons, you practice hard, you compete in just about every league around so you can continue to improve your game. So, when you shows up for a match, you’ve got your game face on and you’re ready to play. No, you’re ready to win. Which is why you’re at a loss for words when, after chasing down a ball that rolled onto the neighboring court, one of the men comments on the fact that a beautiful girl like you must wear a short skirt like that in order to distract them. Of course, he says this with a benign smile and turns back to his opponent, thinking nothing of what he’s said. You’re left fuming but struggling to know what to say or do. Yes, you’re wearing a tennis skirt — which is certainly appropriate attire for tennis. It’s clear from the man’s attitude that he thinks he’s flattering you with his little joke, as does his friend. And no, it’s not the same as a catcall, but it also doesn’t feel good. So what do you do in that instance? Do you interrupt your match and shame the man? Make some sort of snarky comment back to show that you don’t approve? Ignore it and move on? Talk to him later and explain how it made you feel uncomfortable, if possible? Standing up to obvious examples of sexist behavior should be a no-brainer. When my husband and I bought a car last year and the salesman kept deferring to my husband, we both spoke up immediately and put him in his place. (Taking out my checkbook with my name and handing over my down payment was a nice little exclamation point at the end of that exchange.) I noticed pictures that indicated this salesman had a daughter — and I really hope that my husband and I gave him reason to think differently of women in general, and of his daughter in particular. But in the case of the tennis courts … oooh, I find that so much tougher. Maybe it’s because I’ve met so many older men like that — men who are kind at heart and honestly clueless about the fact that what they’re saying isn’t acceptable. Men who would be positively mortified to be given a talking-to in public about it. Men who might be as supportive and proud of the women in their lives as you are. I think we can all acknowledge that the world has changed in a lot of really significant ways since the older generations were young and learning about societal norms. Hell, as a straight, cisgender, white woman, I’ve had a lot to learn in recent years — things that I’d never heard about or considered when I was younger. I actively seek that information out, but I still make the occasional faux pas — and I’m happy to have friends who will take me aside to explain why I need to look at a situation differently or reconsider a term that I thought was okay. But that’s the thing — I have those friends. If I didn’t — if I had nobody in my life who was pretty fully woke and close enough to me to initiate those uncomfortable discussions (and therefore inspire me to do the same with others), and if I were older with maybe less understanding of how to keep up with current social issues via the news and social media … would I be as aware as I am? I doubt it, honestly. So I do think it’s important to give some people the benefit of the doubt before acting in a way that shames them — especially in front of others. Hmmmm… Sometimes it’s better to not say anything in the moment even tho you think you’ll explode if you don’t.